Audit of Forest Planning & Practices: Pacific Bioenergy Timber Corp. 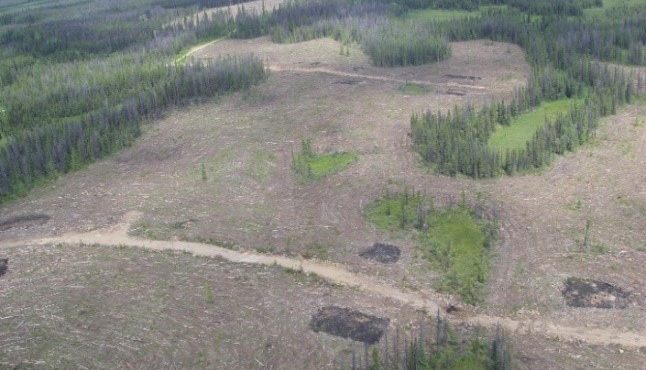 The Forest Practices Board conducted a full scope compliance audit of NRFL A76553 held by Pacific Bioenergy Timber Corp. (PBE) and NRFL A76729 held by RPP Holdings Inc. in the Quesnel District. The audit included all harvesting, roads, silviculture and protection activities, and associated planning, carried out between June 1, 2013, and June 23, 2015. PBE and RPP operations are located about 100 kilometres west of Quesnel near the village of Nazko. Both licensees target lodgepole pine stands that have been killed or damaged by mountain pine beetle. During the two-year audit period, PBE harvested approximately 94 479 cubic metres and RPP harvested approximately 540 828 cubic metres. With the exception of one opportunity for improvement for PBE, the operational planning, timber harvesting, road construction, maintenance and deactivation and fire protection activities carried out by the licensees complied in all significant respects with the requirements of the Forest and Range Practices Act and the Wildfire Act. British Columbia has about 40 different species of native trees.